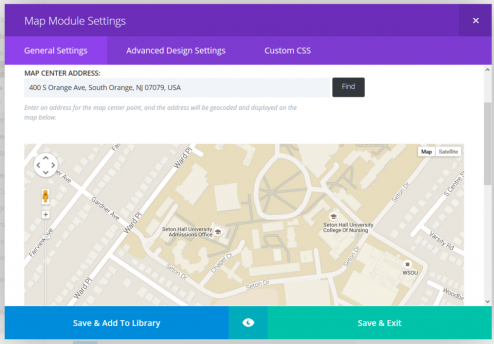 Elegant Themes‘ Divi has been very popular since its release a few years ago. It was the number 2 theme on GoDaddy’s “Hot 100” list for October 8, 2015. In fact, you’re reading a page on a Divi-themed site right now. They’ve just released a plugin that gives you all the functionality of the page builder built into the Divi theme itself, allowing you to use it in most any theme you choose. 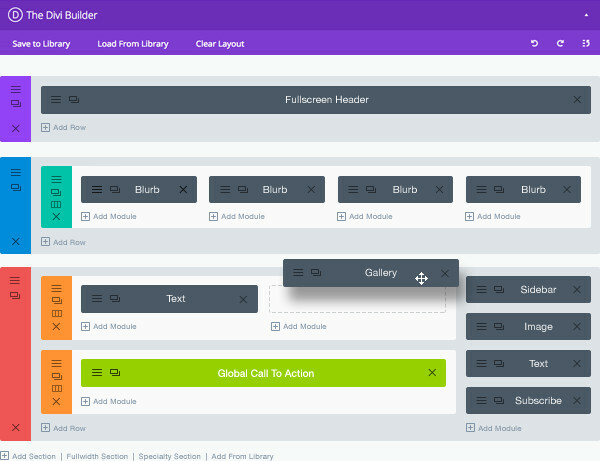 As in the full theme package, the Builder comes with a set of ready-made layout options, and many content modules that you place with a drag-and-drop interface. For example, if you want a map just select the map module and give it an address. There are lots of builder themes and plugins out there, but Divi has proven to be the most popular because it’s intuitive and full-featured. The full Divi theme has an unfortunate habit though of cluttering up your pages with tons of “shortcodes” — blocks marked off by the use of [cryptic signals] wrapped up in [/square brackets]. Once you went down the path of using Divi, switching to another theme was going to be very tricky. By using the Divi Builder plugin on a site, you can keep all the formatting when you switch themes, making it a bit safer. To try it out, go to your Plugins page and activate it. Then, create a new post or page for testing. Play with it a little bit and see if it works for you. This is a new tool, so there are probably a few kinks to work out. But Elegant Themes has been pretty good in the past about issuing updates, and we’ll keep up with them. I tried the Divi Builder plugin and it’s a good tool to use Divi’s feature on a regular website. Even if it’s a great tool, i prefer to use the theme. You may be locked when use the theme but there are so many features!